There is a great demand in novel ion cathode materials. 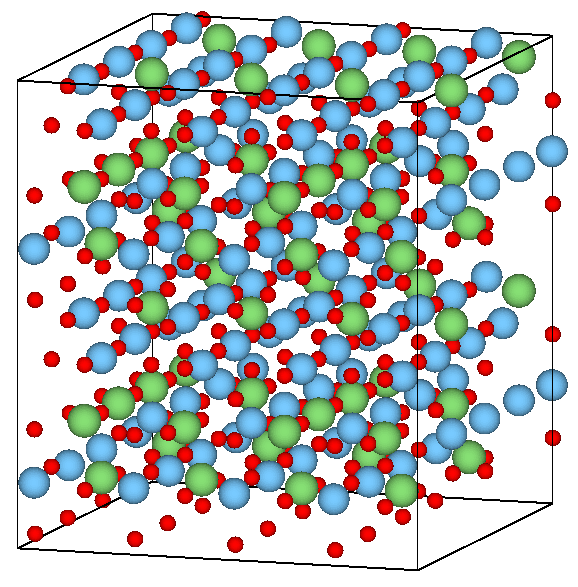 However, to computationally predict better materials, one needs to compute their properties. One of the critical properties to be optimized for Li cathode materials is the Li diffusion rate. Direct simulation of it using quantum mechanics is not possible, however, with our machine-learning interatomic potentials (MLIPs) it becomes possible. Figure. LiTiO2 cathode material. Left: a system that can be computed with quantum mechanics. Right: a system that can only be computed with machine learning. 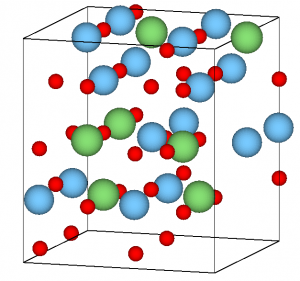 This project is aimed to investigation of Li-ion diffusion in LixTiO2 structures (0 <= x <= 1). In many papers Li-ion diffusion is studied on the basis of QM calculations using nudge elastic band (NEB) method. However, this approach is too time consuming. In order to predict the diffusion coefficient accurately it is necessary to consider the systems with more than 400 Li, Ti and O atoms (see the figure). Due to this reason we replace QM methods by our MLIP. 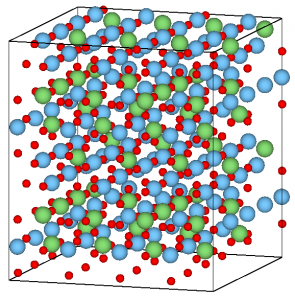 We use QM calculations just for the training set obtaining which consists of several NEB simulations with various concentrations of lithium atoms in TiO2 material. We train MLIP on this dataset and after that we are to run NEB simulations on the potential trained. 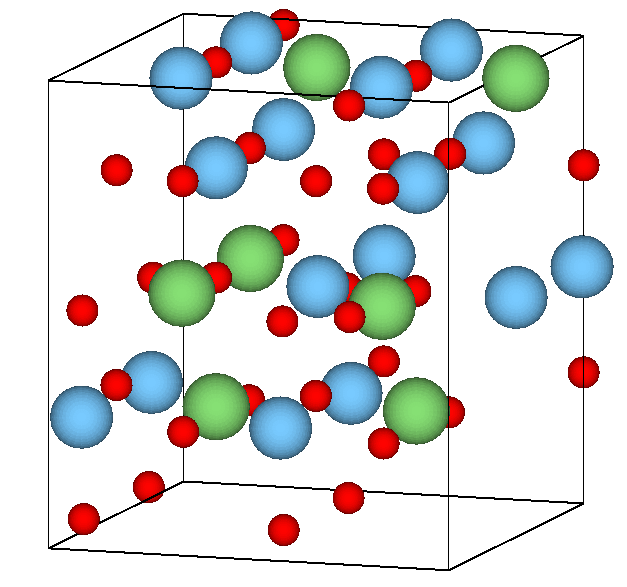 Our main goal is to find out how the group migration of lithium ions affects the diffusion coefficient. This will allow us to design the batteries of new generation.